You’ve had your eye on one for some time and know they’d love it, but a bit uncomfortable with the price tag. Now’s a great time to take the leap – we’ll guarantee you’ll be quite pleased! With a proven track record over the years, our copper roof birdhouses and feeders are simply stunning with superb quality. Bird-approved, these fine structures will grace the landscape with timeless elegance for many years to come. And we know this from customer feedback and testimonials, plus having 110% confidence in our product! Never replace this birdhouse, never paint it, never fix it! Vinyl PVC will not split, mildew, rot or warp (that’s part of the beauty). Solid copper roof uses brass rivets, even the finial is a composite resin to ensure long-lasting beauty with no deterioration. Stately in size and stature, even the smaller range commands attention with their clean architectural design. 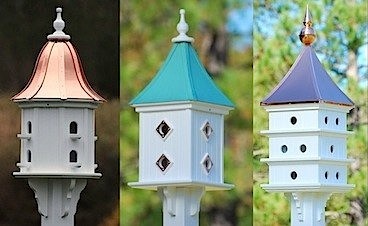 Basically customizable, each copper roof bird house comes with perches or copper portals (predator guards) and classic or verde roof finish. Vinyl decorative brackets are attached on most styles. The mounting bracket which is also vinyl/PVC, slides right on a 4×4 post. How easy is that? The best part… they’re on sale and ship for zip! Save 10% on any size (20% on estate sizes) through Monday Dec.1 at midnight EST. Use promo code MC10 at checkout to nab these great savings and to give a most impressive holiday gift this year! It’s got to be the grandaddy of all houses… as far as aesthetics anyway! 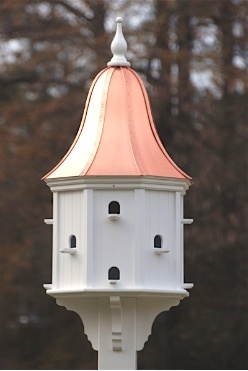 Standing almost five feet tall and two feet wide, this dovecote birdhouse is a most impressive site when situated in the landscape. It takes some room, we refer to it as “estate size” because its grandeur commands more than just any old spot. Martins may take to it if a scout finds its surroundings suitable with plenty of open area and a good distance from trees. Having a pond, lake or nearby stream is also a plus for them. No doubt somebody will be roosting during cold nights prior to spring nesting season, and really, could you blame them? If I were a bird, I’d not only know who to poop on, I’d claim these sweet digs for my own! 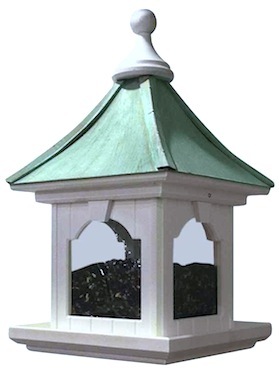 The dovecotes also come with a stunning aged patina roof, but the real beauty in these homes is the meticulous construction using vinyl/PVC. You see there’s no wood at all, nothing to rot or deteriorate over time. The material won’t mildew either, and it never requires painting, just a damp cloth with some soap to remove environmental build-up. Heck, you can even take the garden hose to these birdhouses and feeders for a thorough cleaning should the desire strike! So maybe this one’s a little too big for the average lot? No worries, they come incrementally sized down to a six-or eight-inch diameter, perfect for chickadees, titmice, bluebirds and other friendly fliers. Your resident birds would be happy to call this residence home and the recipient will absolutely be wowed! Stately Dovecote Birdhouse Makes a Superb Mother’s Day Gift! Did you procrastinate for mom’s special Day? 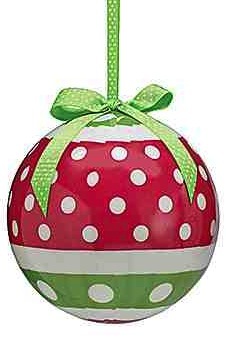 Panicked in search of an amazing gift to show your love? No worries! 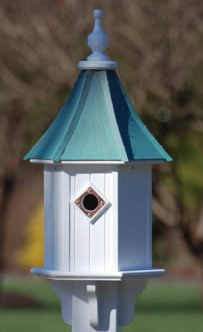 Our dovecote birdhouses are works of art that really do last a lifetime. In durable vinyl/PVC, they could actually pass for wood. In fact we’ve had customers call and tell us “I ordered a vinyl birdhouse but received a wood one instead”. Copper stays bright and shiny for 3 to 4 years, at which time you can apply copper polish or let it weather naturally. The aged patina finish is to die for, the images just don’t do them any justice at all! 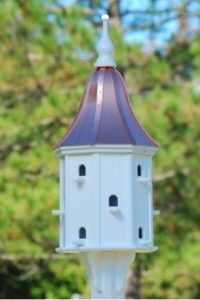 Ranging from small to estate-size, these fine bird houses will grace the landscape with timeless beauty and elegance – we even guarantee it. If you’ve delayed, an e-card will let mom choose her favorite style and roof option. Actually, an e-gift certificate will provide a most unique and really fun shopping experience that promises to be personal and friendly! That’s a big advantage to shopping small, just check our stellar testimonials for personal service that’s above and beyond any online shopping experience! This post was to be written days ago, but I think there’s been a mental block due to the holiday? Listen up: if you’re lucky enough to have your own mother around, spend time with her tomorrow, celebrate her nurturing way and all that’s she’s done for you growing up, you know, all the little stuff that’s taken for granted. 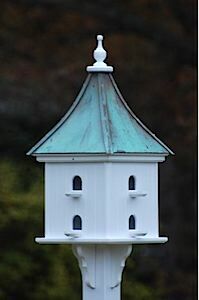 And above all, show her your appreciation… dovecote birdhouse or not! To all the Mom’s out there, we wish for you a very Happy Mother’s Day! May it be filled with Family, Love and Laughter! It’s the Mother of all birdhouses ever, our biggest, nicest, most stunning dovecote birdhouse. In fact it’s so stately, a small yard just doesn’t cut it! It takes some space to let its grander shine. Dubbed an Estate Martin Birdhouse as it measures over five feet tall and almost two feet wide… now that’s big! If you’re still looking for something to really impress your special someone, this large bird home is the bomb! A birdhouse that’s absolutely guaranteed to last a lifetime (with little to no maintenance whatsoever). Because it’s crafted of vinyl, it never rots, splits, cracks or fades. A damp cloth with soapy water is all that’s needed to clean environmental build-up from the surface. The amazing copper roof comes in your choice of shiny, bright copper, which remains that way for 3-4 years before starting to weather, or an aged patina finish. Copper actually gets darker with age-a brownish tint before you ever see a hint of of that natural patina color. Some folks prefer to omit the special lacquer seal so the copper weathers quicker to match trim on their own residences. 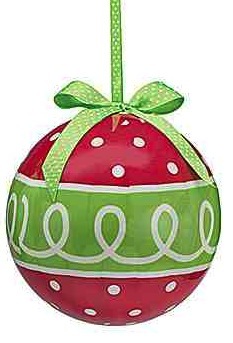 Oh yeah… and the big balls? We have them too! Individually boxed they measure 6×6 with a glossy finish. Bold graphics make them fun ornaments to give-or keep for your own collection. 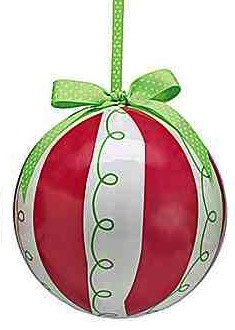 Both the big house and big balls are available for immediate delivery… in time for Christmas! 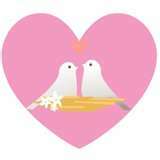 Put a smile on a bird’s face today and save 10% on everything at our place! Just use promo code mc10 at checkout. and the happiest of holidays to you and yours! 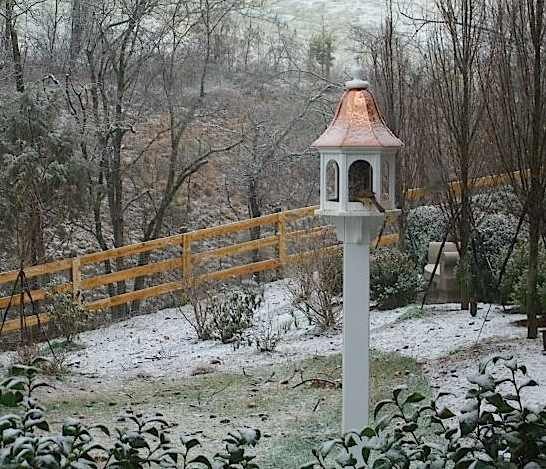 How Could One Possibly Lose a Copper Roof Birdhouse? They’re fairly large, actually big, so how could one of these just disappear? The mystery began two months after it shipped, when tracking showed delivered, but Teresa insisted there was no package. And why would one wait that long anyway? A Mother’s Day gift that shipped in May, the issue hadn’t come to light until July! When her kids kept asking if she received the copper roof birdhouse, Teresa was just too busy with more pressing matters. So when she finally called us, but FedEx insisted it was delivered… we were a bit befuddled. Teresa said they’ve never had anything stolen from the porch, and that you can’t see the residence from the street because the driveway is 300 feet long. Needless to say we drove the FedEx rep crazy with requests for a claim. Nightmare. Then one day we received a package out of the blue, but no, it wasn’t the birdhouse. 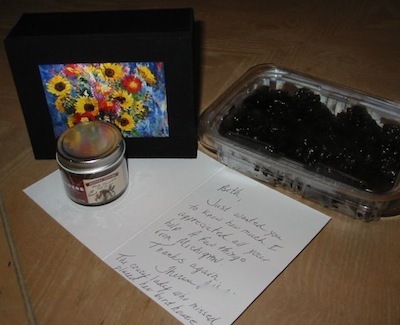 It was one pound of Michigan dried cherries, three jars of some outlandish hot fudge, a box of french soap, and a really nice card… from Teresa! Turns out the birdhouse was there all along, but she thought it was the high chair she had ordered for her grand daughter. It wasn’t until the big company selling the chair notified her that it was out of stock – two months after she had ordered it. The light went off… she had her birdhouse all along. For our troubles (and oh there were several) she sent us a gift, along with a phone call and explanation. What a huge relief! It’s not the first time we’ve actually received gifts from our customers. Because we’re small, we do much more than just sell a birdhouse. We make it an experience, by personalizing things, following through and knowing our customer is thrilled. From the largest copper birdhouses… to the smallest chickadee house, that’s just how we believe business should be done. The dried cherries were to die for, and the other two jars of fudge? Long gone before the pic was snapped! A repeat customer phoned the other day asking about some more birdhouses for his beach residence. 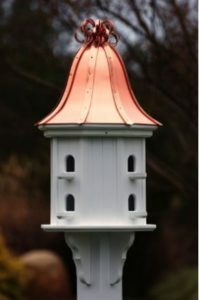 Frank had ordered four of these stunning birdhouses and feeders in the past, and was so pleased with the quality he wanted to replace some wooden houses that had seen better days and deteriorated over the years. Thing is… Frank doesn’t really like birds! Learning this the first go-round, the standing joke became “have you filled those feeders yet?” Frank even asked how to keep the birds OUT of the dovecote birdhouse. 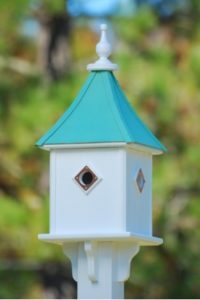 After my initial disbelief had settled, I soon realized that not everyone’s into birds – folks were ordering these houses and feeders simply for the curb appeal factor. And that’s okay because it’s a product made in the USA with a lifetime guarantee. These houses look new years after installation, in fact, the textured PVC looks so much like wood, we’ve had customers phone to say they’d received a wooden house – instead of the vinyl one they ordered! A testament to the beauty and quality of these architectural structures. So, to each his own, if you like a dovecote birdhouse enough to keep as a lawn ornament, then why not? It’s guaranteed to grace the landscape with elegance for many years to come… birds or not! She’ll be all over you! Splurge on a gift for both of you. Better than chocolates, most contain lard! More folks would have one if they only could. In 20 years this house looks like the very first day. Declare your love, lift your glass, and toast spring is near! By the way, that copper’s sure got a beautiful glow! Helping birds raise babies makes it not as rough! Martins and Bluebirds especially depend on you. Successful fledges are the goal from your place. 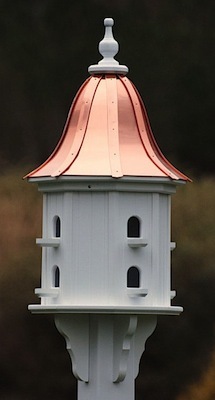 Make it lasting and special, a copper roof birdhouse will do!